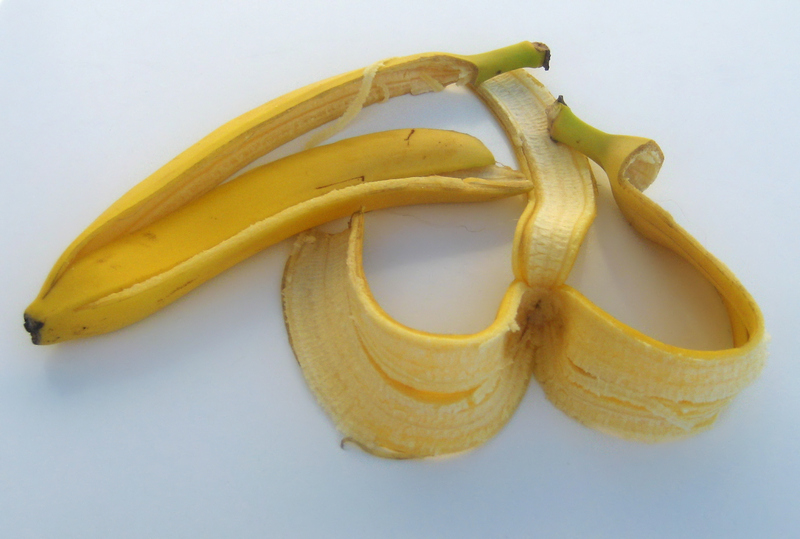 Banana peels are the outer envelopes of banana fruits. They are the by-product of household consumption and banana processing. Banana peels are available in populated areas or in the vicinity of banana processing plants. They can be found in all tropical and subtropical regions of Asia, America, Africa and Australia where bananas are grown. For more information about the distribution of bananas, see the Banana (general) datasheet. Banana peels contain 6-9% protein in the DM, 20-30% NDF, and variable quantities of starch and soluble sugars, depending on their stage of maturity. Green plantain peels contain 40% starch that is fully transformed into sugars after ripening. Green banana peels contain much less starch (about 15%) when green while ripe banana peels contain up to 30% free sugars. Lignin content increases with ripening (from 7 to 15% DM). Plantain peels contain less fibre than banana peels (Happi Emaga et al., 2011). Tannins are the main antinutritional factors of bananas and are mostly contained in the peels. Ripening causes those tannins to migrate to the pulp or to be degraded by polyphenol oxidases and peroxidases (Happi Emaga et al., 2011). In addition to their antinutritional effects, particularly in monogastrics, banana tannins are responsible for the astringent taste of immature fruits, making them less palatable than mature fruits (Ly, 2004). In 1986, cases of mycotoxin contamination due to Fusarium were reported in banana fruits grown in India (Swamy, 2009). As bananas are subject to heavy pesticide applications, feeding animals with banana fruits or stalks may result in toxic residues in animal tissues. An Australian survey assessing 28 banana pesticides reported that carbaryl, chlorothalonil, dicofol and prochloraz could be responsible for residue violations in meat and edible offal (MacLachlan, 2006). Banana peels are widely used by smallholders as supplementary feeds for cattle and small ruminants in the tropics (Onwuka et al., 1997; Happi Emaga et al., 2011). Their nutritive value for ruminants is estimated to be similar to that of cassava peels or citrus peels. Green peels contain more metabolizable energy than ripe peels. More research is needed into the value of the pods as feed and also the potential effects of the changes in tannin content during ripening (Happi Emaga et al., 2011). Dairy cows fed up to 21 kg of fresh ripe banana peels increased milk production (Dormond et al., 1998). In grass-fed zebu cattle, a supplement of 15 to 30% of dietary DM from banana peels was highly palatable and increased weight gain significantly without causing health problems, but banana peel supplementation was not cost-effective (Hernan Botero et al., 2000). In goats, dry ripe plantain peels can fully replace maize grain without adverse effects on growth and animal performance, and were an economical source of carbohydrates (Aregheore, 1998). Dairy goats fed a basal diet of banana peels supplemented with a legume forage performed adequately, though butterfat and milk protein were lower than for diets based on maize leaves or elephant grass (Pennisetum purpureum) (Nambi et al., 2001). Like other banana products, banana peels can be a important staple feed for smallholder-owned pigs in banana-produding areas (Buragohain et al., 2010). Dried ripe banana peels were fed to growing pigs up to 20% of the diet DM without depressing growth, but higher inclusion rates caused poor growth (Rios et al., 1975). The nutritive value of ripe banana peels (14.0 MJ/kg DM) was found to be higher than for green peels (11.6 MJ/kg DM) (Tartrakoon et al., 1999). Maximum inclusion rates of 7.5% and 10% dried banana peels have been suggested for broiler diets. In one experiment, dried plaintain peelings replacing maize grain resulted in a significant decrease of the weekly weight gains when included at more than 7.5% in the diet (Tewe, 1983). In another experiment, live-weight gain and feed conversion efficiency were significantly higher in chickens fed up to 10% banana peel meal in the diet. Feed intake increased linearly as the level of peels increased to 10%, after which growth decreased (Sabutan, 1996). An equal mixture of banana peels and golden apple snail (Pomacea canaliculata) meat could replace up to 90% of a commercial diet (Ulep et al., 1995). Dried plantain peels can be included at 20-30% of the DM in rabbit diets, particularly as a partial or total replacement for maize grain (Fanimo et al., 1996). Ripeness may slightly improve their nutritive value (Fanimo et al., 2006). Sun-dried ripe plantain peels could replace up to 75% of maize (27% of the diet DM) or 100% (36% of the diet DM) in weaned rabbit diets with positive economic returns, though total replacement depressed performance (digestibility, weight gain, feed conversion ratio, carcass quality) (Fanimo et al., 1996; Ajasin et al., 2006). A 3:1 mixture of dried and ground ripe banana peels and yam peels supported a good performance in weaner rabbits and was the most cost effective when it replaced 50% of maize grain (21% of the diet) (Akinmutimi et al., 2006). Inclusion rates higher than 30% can have detrimental effects on the final weight gain, daily weight gain and feed conversion efficiency (Fanimo et al., 2006). African catfish (Clarias gariepinus) does not tolerate diets containing high levels of plantain peel meal; plantain peel meal replacing maize grain in fingerling diets reduced performance (Falaye et al., 1998). Fresh plantain peels were successfully fed to West African snails with no adverse effects but gave lower performance than papaya peels (Omole et al., 2004).